Armstrong Teasdale Corporate Services partner Michael Jefferies has been named a "Best M&A Provider" by St. Louis Small Business Monthly magazine. The ranking is based on a poll of readers asking them to nominate the best mergers and acquisitions attorneys in St. Louis. Jefferies guides public and private companies through all phases of the purchase and sale of businesses and assets. This work includes pre-transaction planning, due diligence, deal and information management, preparation and negotiation of purchase and other transaction agreements, closings, post-closing matters, and business integration. 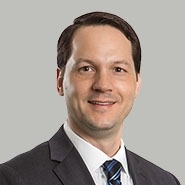 He leads transactions involving equity and assets, mergers, venture capital, private equity and bank financings, joint ventures, and corporate reorganizations and restructurings. Jefferies’ experience extends to the purchase of assets and businesses through managed sale processes as well as in bankruptcy, receivership and other distressed situations. Jefferies is listed in the March issue of the magazine.